I picked up the latest Classic monograph this weekend - Eddie Nielinger Creek’s superlative history of the Junkers Ju 87 Stuka. I was particularly interested in the brief pilot bios dotted throughout the book and especially the profile devoted to Germany’s ‘other’ WWII female test pilot - Melitta Schiller, later the Gräfin (Countess) von Stauffenberg. 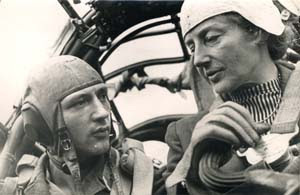 However throughout the pre-war and early war years Melitta’s career was essentially a programme of intensive test flying - spending up to ten hours per day in the air, flying literally thousands of sorties, principally in dive bombers, where she contributed to the development of the Stuka’s automatic pilot and pull-out. 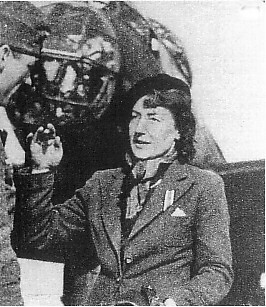 For her work on these programmes Melitta Stauffenberg was one of the rare recipients of Goering's own award, the Goldene Flugzeugführerabzeichen mit Brillanten - the pilot's badge in Gold with diamonds. And then in July 1944 Claus von Stauffenberg triggered operation “Valkyrie” the failed Hitler bomb plot, thereby setting in motion a train of events that would apparently lead directly to Melitta Schiller’s death. Writing in Aeroplane magazine in June 1999 Barbara Schlussler stated that ‘confusion surrounds Melitta’s death’. The ‘accepted’ version of events is that she was shot down by American fighters. During early April 1945, with the collapse of the Third Reich imminent, Melitta set out to locate her husband who was still languishing in jail. 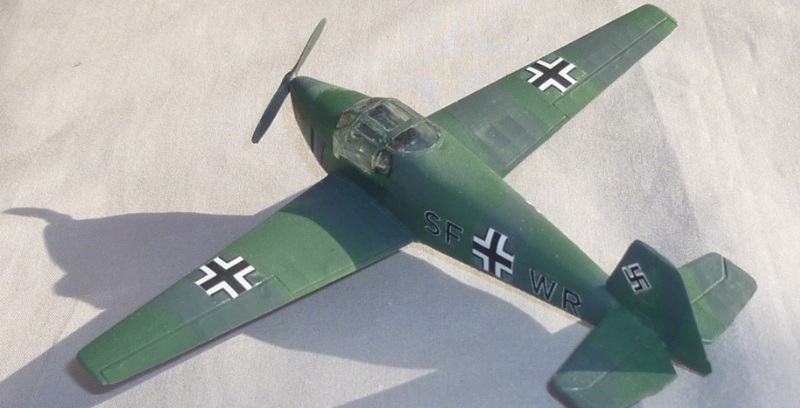 On 8 April 1945, while at the controls of a Bücker Bü 181 Bestmann trainer en route to Schoenberg - perhaps to rescue her husband- and navigating along a rail track running near the Danube in the vicinity of Strasskirchen, Bavaria, she was bounced by a P-51. According to eye witnesses she managed to successfully crash-land the aircraft, but apparently later died from her injuries in hospital in Straubing. In the last chapter of his biography Gerhard Bracke looks at the ‘conspiracy’ theories surrounding Melitta Stauffenberg’s final hours. 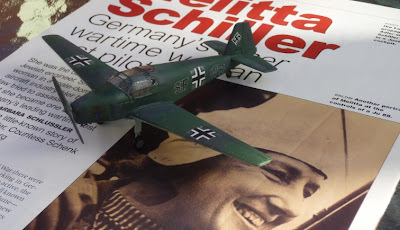 He presents evidence to suggest that the aircraft that shot down Melitta Stauffenberg were Me 109s (there were matching no US fighter claims) and looks at Gestapo involvement in her death. 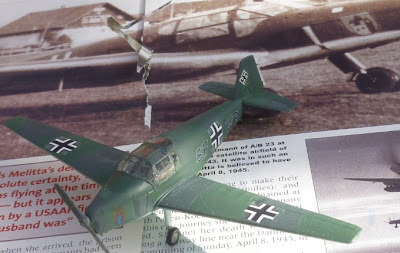 Bracke quotes at length another eyewitness who helped Melitta Stauffenberg out of the wreckage of her aircraft- “ her injuries amounted to no more than a broken leg and were in no way life threatening”. 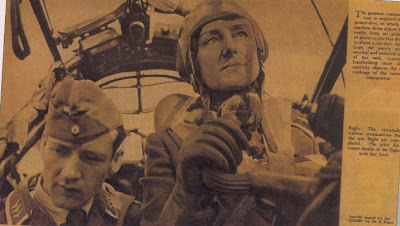 Melitta Schiller must rank as one of the leading female test pilots in aviation history but her record as a test pilot is over-shadowed by the manner of her death. She will probably be best 'remembered' - if she is at all - as the sister-in-law of Claus von Stauffenberg, instigator of “Valkyrie”, the failed Hitler bomb plot.